Earlier this year, we were treated to spending some time with David J. Hand, Senior Research Investigator and Emeritus Professor of Mathematics at the Imperial College of London, and Chief Scientific Advisor at Winton Capital Management. David’s most recent book, The Improbability Principle: Why Coincidences, Miracles, and Rare Events Happen Every Day, has been getting great press on National Public Radio, in the New York Times Magazine, The BBC, and many other places — and with good reason. It is an excellent book! 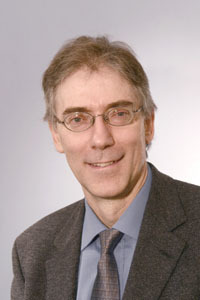 In addition to discussing his most recent book in an Analytically Speaking webcast, he also answered questions on a variety of topics — being awarded the Order of the British Empire (OBE) in 2013 for services to research and innovation, his long and accomplished career, the field of statistics, big data, the UK’s GetStats campaign, and yes, even tips on playing the lottery! If you missed the live webcast, you can watch the recording. If you’d like to read the first chapter of the book, Mystery, you can download it from our website. The book has many interesting examples of improbable events, which have prompted many to share some of their rare-coincidence stories. If you have a rare-coincidence story you’d like to share, David has set up a website where you can post your own improbability stories. David is one of the featured keynotes at this year's Discovery Summit in Cary, North Carolina. We hope you will join us to explore broad analytic ideas, like the improbability principle, and hear from world-renowned authorities like David Hand. Based on what users have to say about Discovery Summit, the probability that you will consider it time well spent is almost certain!